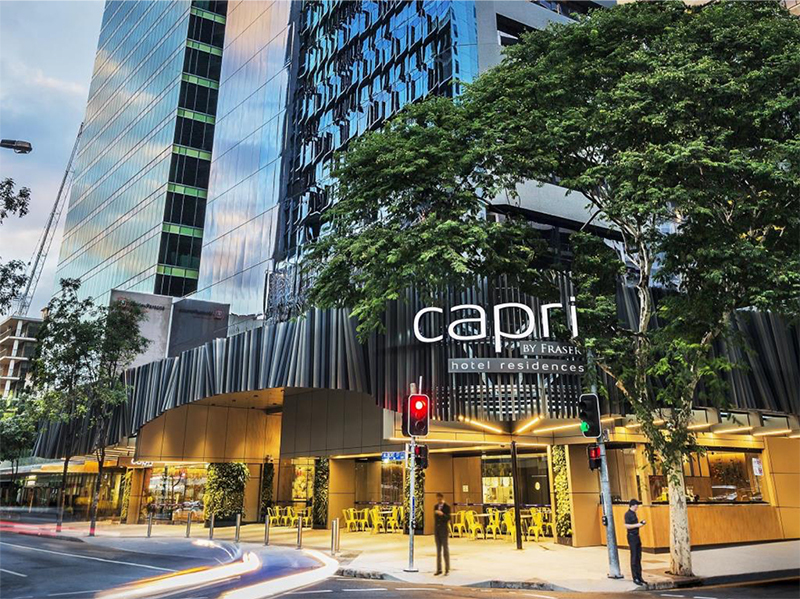 The Capri by Frasers project consisted of transforming an existing 18 storey commercial office building into a new 240 guest room 4-star hotel in the heart of Brisbane. The project consists of new water cooled Chiller, Cooling Tower and associated pumps serving CHW fan coil units to each guest room, front of house Bars, Restaurant, lounge areas and professional suites and back of house facilities. New Duty / Standby CHW CRAC units were installed in the Computer room. Urban inspired. High tech. Intuitive. Capri by Fraser, Brisbane hotel offers guests the freedom to choose how and when you want to work, live and play. An effortlessly stylish and vibrant hotel residence designed by award-winning Ministry of Design, Capri by Fraser. Brisbane brings a touch of the rainforest to an inner-city development. Featuring living vertical gardens, trendy art installations, and in-house restaurants introducing fresh and nutritious menus.